Let's Make Art provides art and craft workshops for children, giving them the opportunity to discover and create high quality artwork. Since launching in the summer 2012, Let’s Make Art has organised numerous art and craft workshops and events for children in various venues, including Greville Smyth Park, Leigh Woods and Ashton Gate School. Let’s Make Art has also provided workshops at the Creative Common for Make Sundays Special run by Bristol City Council. 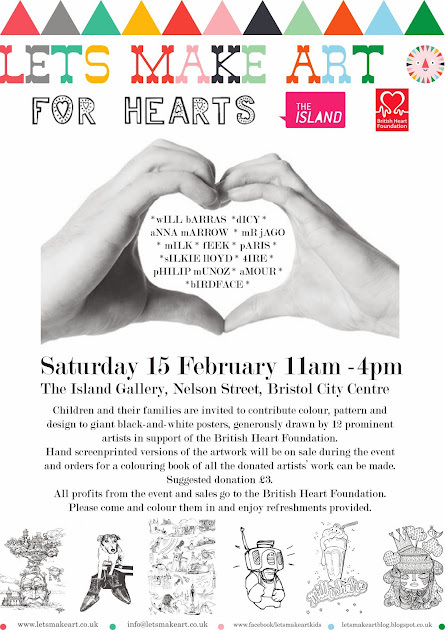 For Let's Make Art charity fundraising event for British Heart Foundation taking place 15th February 2014, 11am - 4pm they have enlisted the help of 12 illustrators, street / graffiti artists who have produced giant black and white posters for the event. 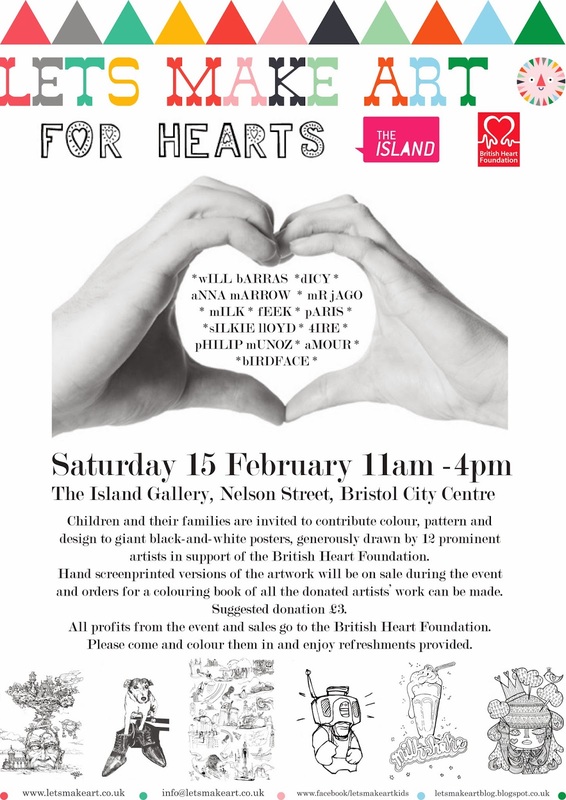 Families and their children are invited to add colour and patterns to the large posters on the day. A series of hand printed screen printed posters featuring the artists work will be on sale on the day at the event. 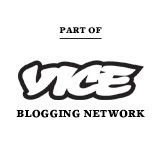 Artists involved in the project include Will Barras, Mr. Jago, Dicy, Feek, Paris, 4ire, Studio Amour, Philip Munoz,Anna Marrow, Helen Ward and Silkie Lloyd.